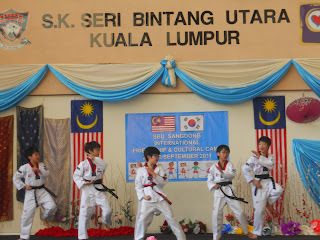 20 Year 6 students from SKSBU and Sangdong Primary School, Korea met in Kuala Lumpur for a cultural exchange camp from 22 - 25 September 2011.5 teachers from Korea and 10English teachers from SKSBU were involved. 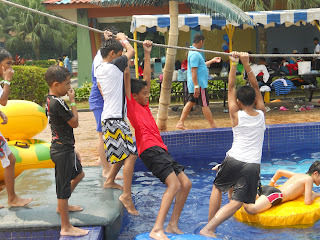 The camp was held by the English Panel as one of the Post UPSR activities. 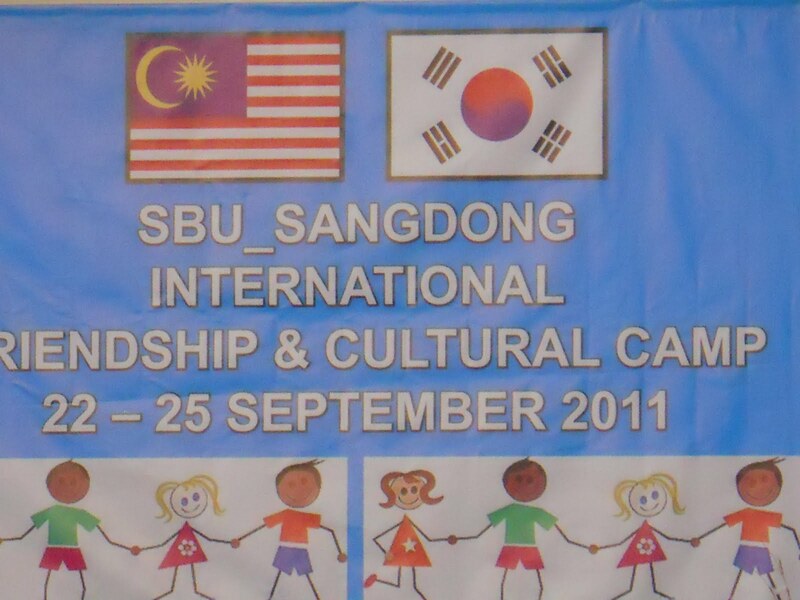 It is also an international colloborative project between our school with Sangdong Primary School. During the camp, the participants stayed at the hostel in SMK Seri Bintang Utara. On the first day,the participants were welcomed in a special assembly at Laman Bestari. 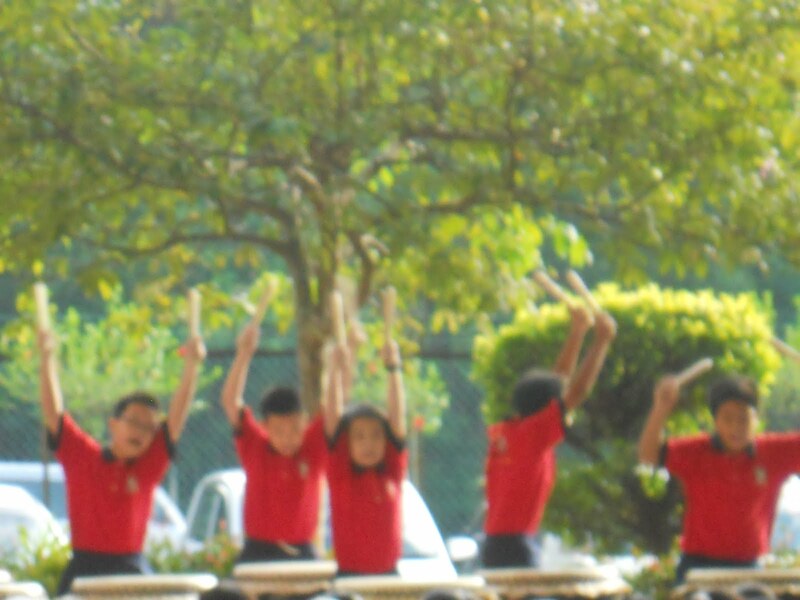 After the speeches , both schools presented a cultural performance each. 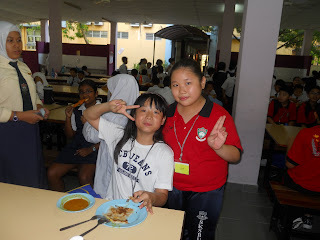 Then,our students brought their new friends to the canteen where they tried our local food. Next, they shared their culture with each other through " Culture Box " , a cultural class. 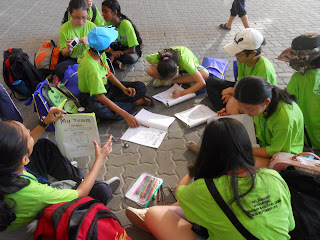 In the class, each participant chose an item from their own box and talk about it to introduce their own country. Some of the items in the box were the flag, the Prime Minister, the currency, the food and etc. Other cultural classes such as kompang and weaving were also held. 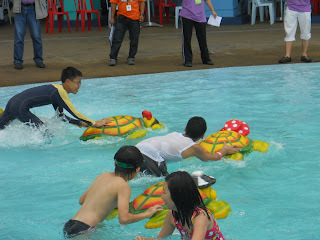 In a telematch, the participants played traditional games like coconut bowling, gigantic clogs , etc. 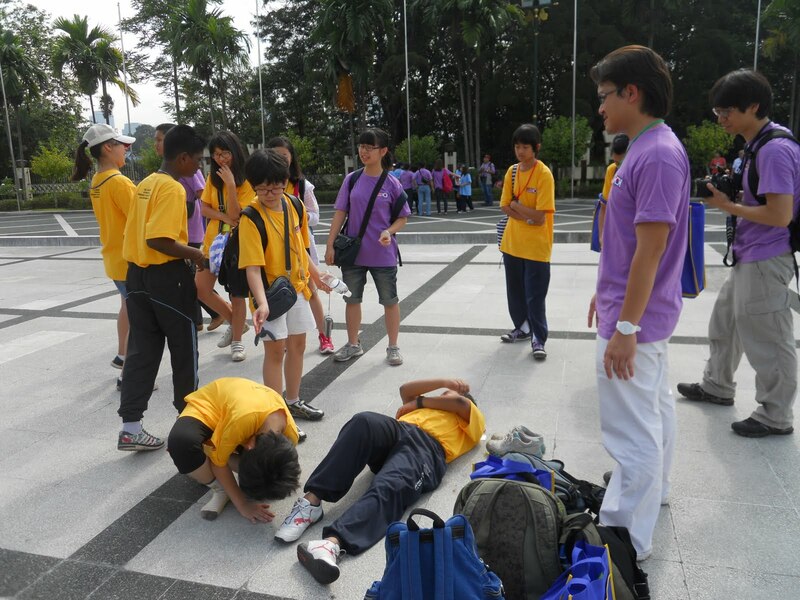 On the second day, Amazing Race was held . 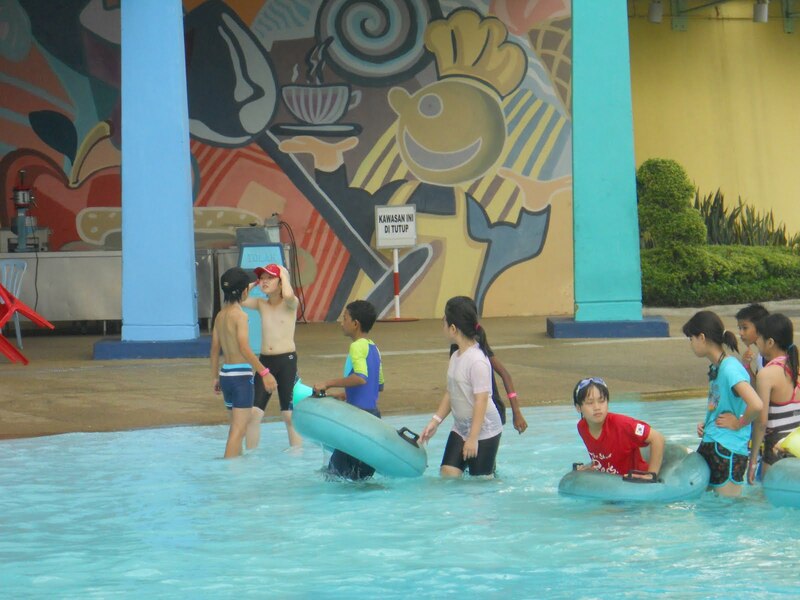 The particpants were divided into four groups and each was led by two facilitators. The race started from The National Monument.Each group received the clue through SMS and had to carry out the task. the group with the highest score won the race. Culture Night was the highlight of the camp. All the particpants wore their traditional costumes. Our local delicacies were served and cultural performance were held. It was a fun night , a night to get to know each other better. 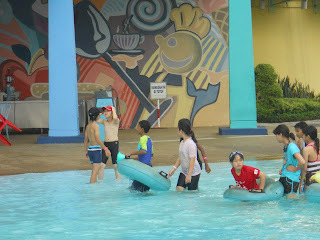 Finally, the camp came to an end. We had to say goodbye . 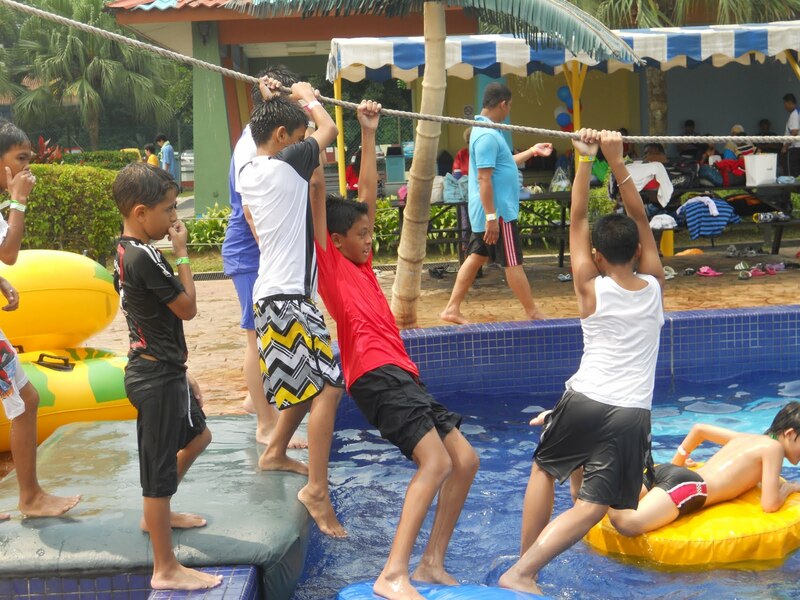 It is hoped that all the participants had benefited from the camp. 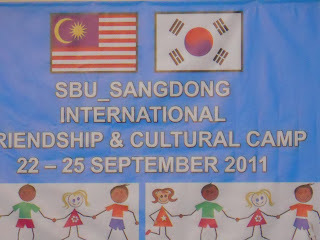 We hope to see them again in Korea when 20 of our students attend a camp organized by our counterpart from 24 - 28 November 2011. The students will be accompanied by 4 English teachers.